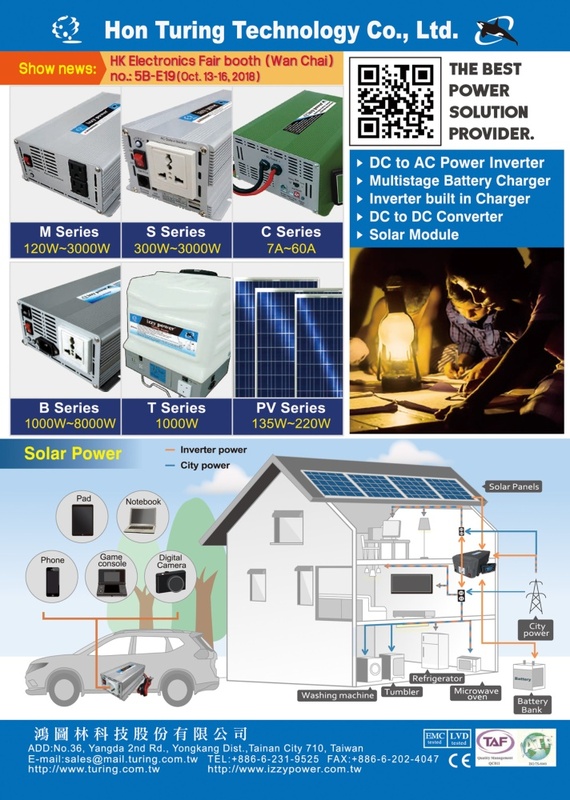 Set up in 1997, Hon Turing Tech Co., Ltd. is a leading maker of DC-to-AC inverters and battery chargers in Taiwan with R&D and designing as forte. Adopting CAD, CAM plus stringent QC, we offer wide-ranging products meeting CE, E-mark and ISO:TS16949 standards, including Essential (E) Series, Professional (P) Series, Sine Wave (S) Series, Modified sine wave (M) Series, Battery Charger (C) Series, Bi-power (B) Series, Trolley Power (T) Series, Charger Controller (SC) Series and Solar Power (PV) Series. 5~7 specialized R&D engineers, with over 15 years’ experience in software/hardware design, focus on product improvement and innovation to turn out high-quality items.